You are here: Home / GoodHearts News / Holiday Gift Idea for Parents & Grandparents! Holiday Gift Idea for Parents & Grandparents! Salt Marsh Pottery will be at GoodHearts on November 7th! Call 1-800-859-5028 for your appointment. 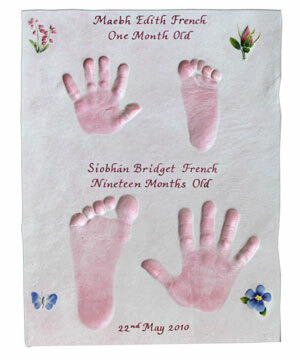 We are very excited to welcome back Salt Marsh Pottery to capture your baby’s hand and footprints! What an amazing keepsake for any parent or grandparent! We scheduled her to come in November so that the hand crafted and personalized pottery will be back in time for holiday gifts! They are little for such a short time, don’t miss out on this opportunity to freeze this one little moment in time. Other plaque styles are also available!